FIFA sponsors have reacted positively to news that president Sepp Blatter is to step down from FIFA. In a surprising move yesterday afternoon, Blatter said he would step down just days after he won re-election to a fifth term, as the investigations into alleged corruption at the international soccer body continue. The organisation’s major sponsors, which had already expressed concern following the series of arrests last week, issued statements following Blatter’s announcement. McDonald's said: "Football has the unique ability to bring the world together while positively impacting communities and economies. The allegations of corruption and questionable ethics within FIFA have overshadowed the game and taken away from the sport, players and fans. "We're hopeful that the changes being implemented within FIFA will be a big first step in positively reforming the organization and gaining back trust from fans worldwide." Coca-Cola said the move was "a positive step" and urged FIFA to "act with urgency" and "win back the trust of all who love the sport of football. "We believe this decision will help FIFA transform itself rapidly into a much-needed 21st century structure and institution." Budweiser stated: "We expect today's announcement to accelerate FIFA's efforts to resolve internal issues, install positive change and adhere to the highest ethical standards and transparency. We look forward to the beauty of the game taking centre-stage again for football fans around the globe." Adidas said: "We welcome FIFA's commitment to change. As stated before, the Adidas Group is fully committed to creating a culture that promotes the highest standards of ethics and compliance. Today's news marks a step in the right direction on FIFA's path to establish and follow transparent compliance standards in everything it does." 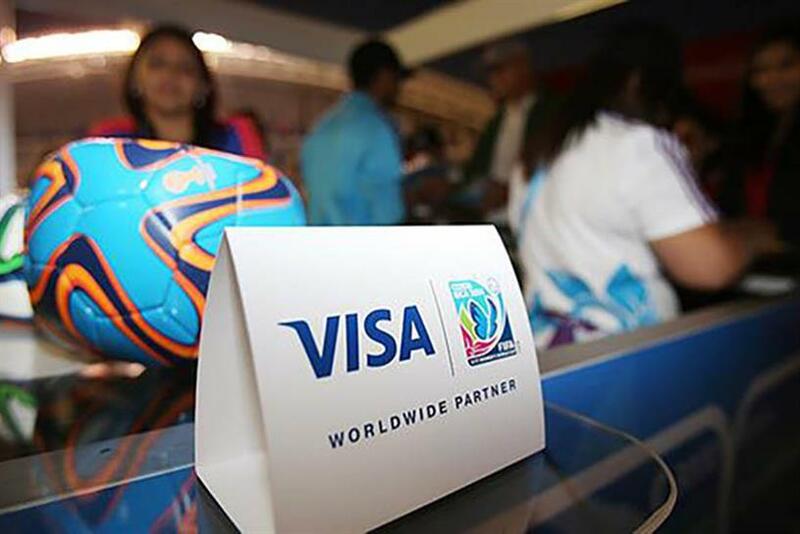 Visa said: "We are encouraged by the recognition by FIFA that extensive and fundamental reform is needed as reflected by the announcement that President Blatter is resigning and that FIFA will be undergoing a ‘profound overhaul.’ This is a significant first step towards rebuilding public trust, but more work lies ahead." Visa added: "It is our expectation that FIFA will take swift and immediate steps towards addressing the issues within its organization to quickly rebuild a culture with strong ethical practices that will restore the reputation of the game for fans around the world. We look forward to understanding the nature and scope of the intended reforms in the very near future." Hyundai said Blatter’s announcement was "a positive first step in creating a governance structure that ensures the highest ethical standards for the sport." It added, "We remain committed to supporting the fan passion of football around the world."